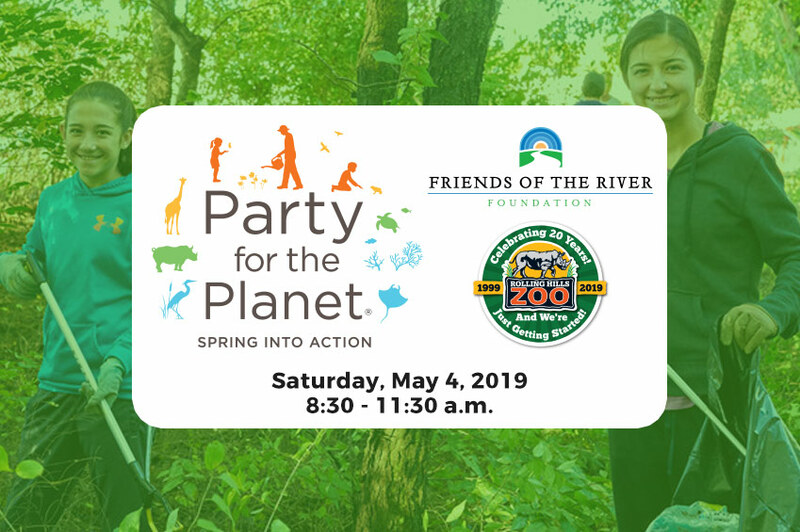 Your journey through the 64,000 square foot museum takes you around the world to experience the delicate symmetry between humans, animals and nature in seven unique regions from the arctic to the rainforest. As you enter the Museum at Rolling Hills, you begin to sense something special. It’s just after sunrise, and even before you see the gathering pride of lions, you hear the birds and other sounds of the African plains. Our state-of-the-art animatronic human robots narrate stories of how they weave the thread of their existence into the delicate balance of life. As you move through the varieties of foliage and landscaping, you’ll see and hear the natural environments of each section of our world. 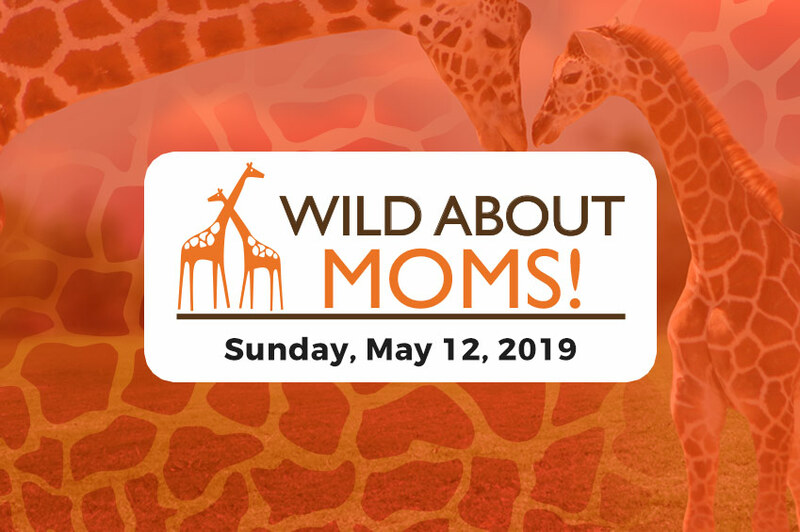 The Museum also features the Helen L. Graves Hideaway Hollow education center with hands-on interactive ways to explore and learn about the wonderful animals on our planet, and discover what surprises await you in our 2,000 square foot Earl Bane Gallery area. From art shows to robotic bugs, something new and exciting will always be on exhibit in this area. Your museum visit will be enhanced by a stop at the Earl Bane Gallery. This 2,000 sq. ft. room is dedicated solely to traveling exhibits. From wildlife art to hands-on interactive exhibits, the gallery offers guests something new and exciting that is constantly changing. The opportunity to view any gallery exhibit is included with your admission. Let’s go back to a time when the zoo was simply a vision & a dream. 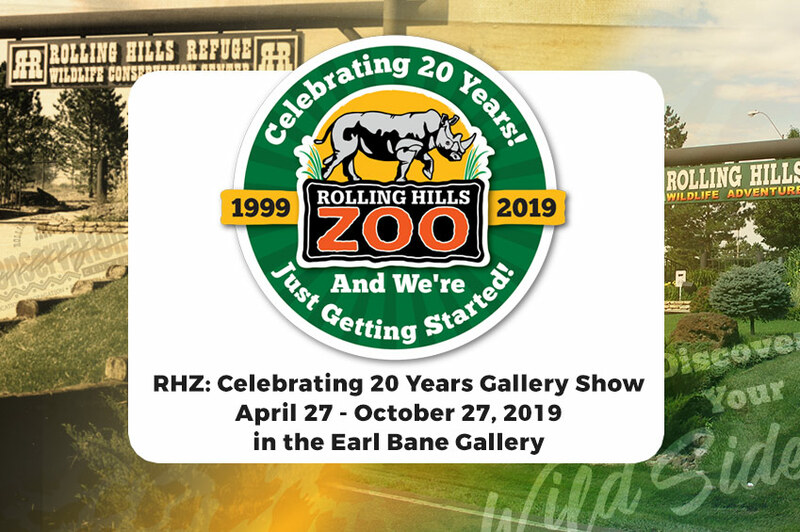 View early sketches to the earliest residents, and see how the Zoo turned into a reality in our upcoming RHZ: Celebrating 20 Years Gallery Show! 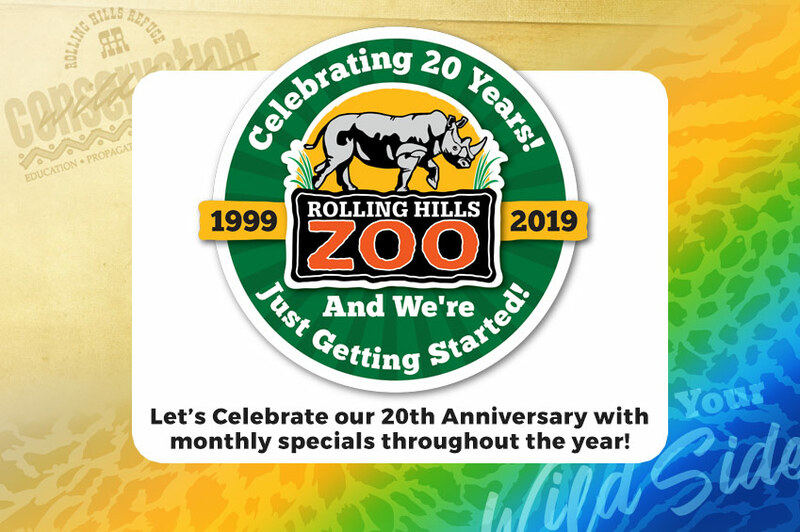 One fascinating aspect of the museum at Rolling Hills Zoo is the animatronics. Our animatronics are realistic robotic figures of humans. 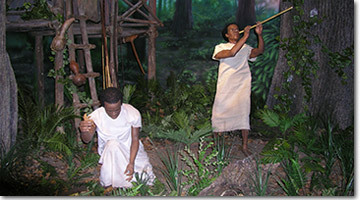 Throughout the museum's different ecosystems, several animatronics interact with one another and the viewer, and contribute dialogue about the delicate balance between man, wildlife and nature. 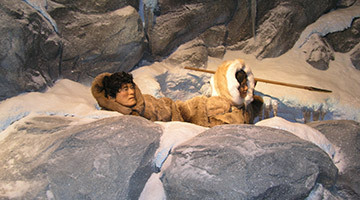 Some animatronics highlights in the museum include real life, historically accurate replicas of Native Americans, a Hindu snake charmer, American cowboys, Rainforest natives and hunting Eskimos. Take your museum tour today and discover how people lived in different times and how they live in different cultures around the globe. Gleason & Son Signs, Inc. In Memory of Mrs. Milton "Becky"